When economic times are hard, clients need their debts collected and judgments enforced more than ever for their businesses to be viable. Collecting and enforcing judgments has become an important legal process in the United States and worldwide and is now becoming a very prominent and respected specialty of the law. Judgment Enforcement, Third Edition is a best-selling desktop reference with comprehensive information about the judgment enforcement process in general and many other areas in particular. How to prepare and file enforcement-related pleadings and documents. 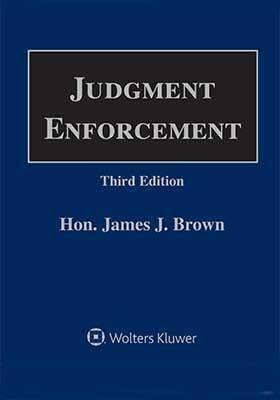 Judgment Enforcement, Third Edition has more statutes, case law, rules of procedure, service of process tips and practice tips than any two volume series in the United States. It also includes a detailed discussion of the federal judgment enforcement provisions and strategies for international execution, as well as tips and strategies for effectively executing all judgments.